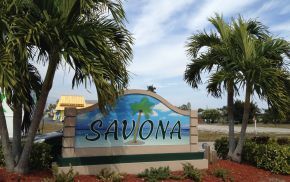 On the South East side of Cape Coral is the Savona Area, which is very similar to the Palaco Grande and Cornwallis areas. Savona Parkway stretches from Del Prado Blvd South headed east to the Caloosahatchee River for three quarters of a mile. About 80% of the homes in this neighborhood are on Direct Sailboat Access waterways with no locks, bridges or boat lifts to interfere with access to the river. 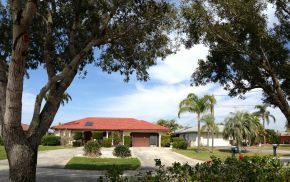 Being on the east side of Del Prado makes for a short time idling out to open water which is why the homes tend to be more costly compared to the slightly restricted canal properties. Homes are mixed with new and old with a lot more of the older homes having major remodeling and giving the newer homes a lot of competition. Today there are a lot of expensive upgrades that are being installed in all homes, new & old, that will just amaze homebuyers when first touring a home for sale. With granite, travertine, crown moldings, gorgeous appliances and bathrooms that look like they belong in an architectural magazine - it's hard to pick and choose sometimes. 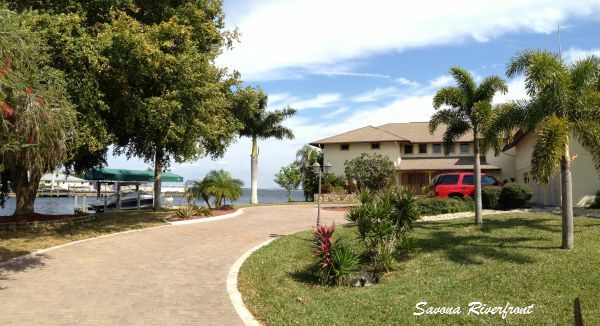 Some homes along the riverfront can be sleeper types, they have a modest exterior, then you enter inside and get captured with the luxurious interior and the wide expansive river view looking over to Fort Myers. 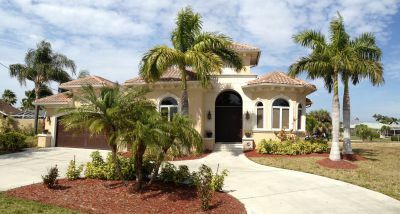 It's a good thing to have variety to choose from, and in this tropical setting in Cape Coral Florida, it's hard to go wrong because there are so many wonderful areas to choose from.